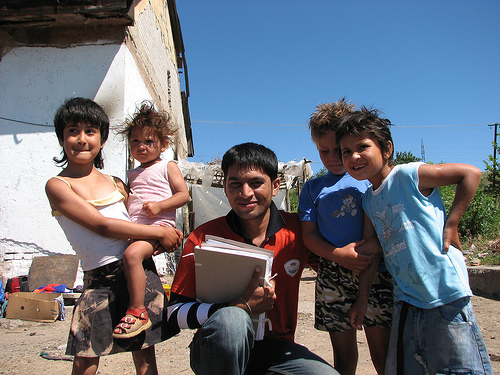 On 5 April 2011, in Budapest, Hungary, as a result of the work prepared by the EU Roma Task Force, the European Commission released a Communication, entitled ‘An EU Framework for National Roma Integration Strategies up to 2020’ (COM(2011) 173 final, 5 April 2011), calling upon Member States to act: in essence, this major policy document invited Member States to elaborate or update their National Roma Integration Strategies with 2020 as the horizon for their objectives. In order to guide and help them in such policy work, a common framework was provided for these strategies, with an architecture resting on the so-called ‘four pillars’ of Roma inclusion: education, employment, housing and health, to be addressed with an integrated approach. Such an approach was necessary as problems in these areas are often linked. An example of this is the fact that poor education levels often result in a poor understanding of the importance of proper healthcare and the lack of knowledge about possible help from public services. Poor health may ensue, which negatively affects educational performance. Illiteracy is high amongst Roma, with girls and women being particularly affected. Mothers are traditionally the main care-providers for the whole family, meaning that that this may have implications for their own children's education. Illiterate or under-educated mothers are unable to monitor their children’s performance in school. Sometimes they do not fully see the importance of education for their own children and unfortunately this is particularly the case for girls. Implementing the core messages of the 10 ‘Common Basic Principles for Roma Inclusion’, the Roma Task Force decided to focus on the four pillars these principles identified for better effectiveness: education, employment, health and housing.